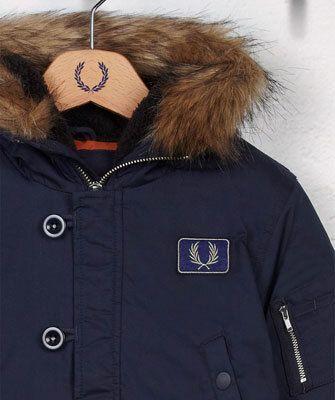 Not sure I’m keen on the oversized logo, but otherwise this Fred Perry Snorkel Parka for kids is right up our street. 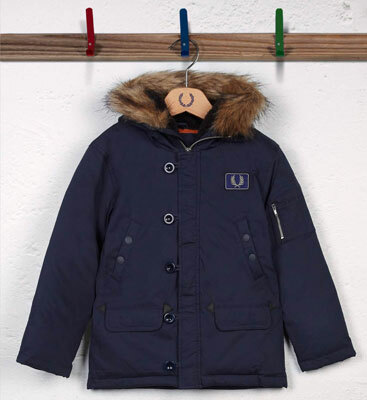 A take on the classic kid’s coat of days gone by (as well as the modern-day Woolrich Artic Parka for adults), it is made of a ‘rich cotton’ with a ‘faux fur’ trimmed hood and elasticised waist for an extra snug fit. There’s also lots of ‘cosy padding’ plus front fastening, multiple pockets and that large Laurel Wreath logo on the chest. Not cheap though at £150.